Lisa Mascolo is managing director, U.S. Public Service, IBM Global Business Services unit, where her purview spans the U.S. federal government and the state and local government and education markets. Before joining IBM in March 2016, Lisa coached senior leaders and provided business strategy consulting services to small and large businesses as the CEO of Listen Learn Lead LLC. 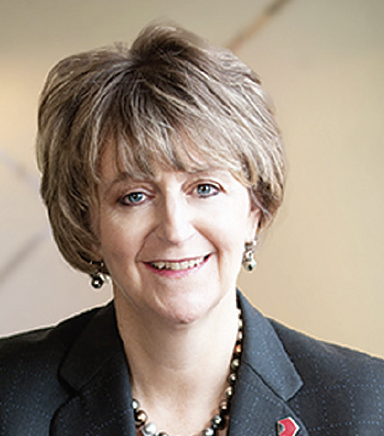 Previously, she spent nearly 30 years in leadership roles at Accenture both before and after its transition from private professional services firm to a Fortune 500 public company. Lisa worked with some of the company’s largest government clients across the globe and included tenure as group chief executive for the Public Service operating group. As the U.S. country managing director, she lead the management consulting, systems integration and technology, and outsourcing organizations. She was also the managing director of Accenture’s U.S. federal business. Lisa is a trustee at her alma mater, Stevens Institute of Technology, and serves as chair of the institute’s HR and Compensation Committee. She also serves on the board of governors of the St. Albans School of Public Service and chairs the board of governors’ Advancement Committee at Grace Episcopal Day School.